Hollybeary Creations : Shine Bright! Hello everyone.. I hope you are all having a great week so far! 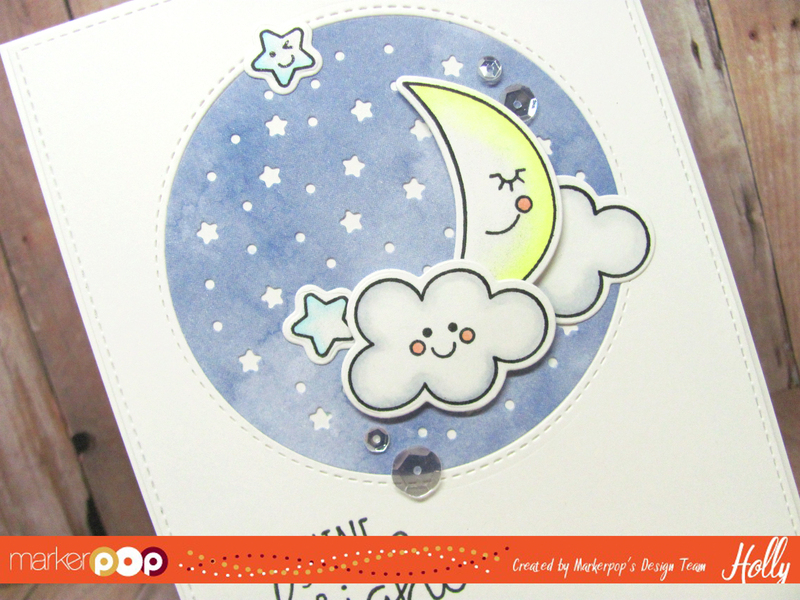 Have you played along with Marker Pop Challenge #112 yet? This week it's all about the Moon and Stars. You can find all the details on the Challenge in this post here. The challenge is open until Friday January 27th at 11pm est. I created a cute card today using the Challenge theme and the Lucky set from My Favorite Things. I started with a piece of Neenah Solar White card stock and I die cut a panel with the MFT Blueprints #15 die-namics set. Then I die cut the center Star area using the MFT Starry Circle Die-namic. I die cut the stars a second time from a piece of the MFT Watercolor Wash 6x6 paper Pack. I added a piece of scarp paper to the back of the panel and then I adhered the blue star panel with some glue. I stamped the sentiment in some Lawn Fawn Jet Black ink using the Mini Misti and set it aside. Moon: Y0000, Y000 & Y00 Stars: B0000, B000 & B00 Clouds: C00, C1 & C3 Cheeks: R20 I also used some 0 on each image. Once the images were cut out I die cut them with the coordinating dies and adhered them to card front with some glue and foam tape. I added some additional foam tape to the back of the panel and adhered that to a top folding A2 size card base. 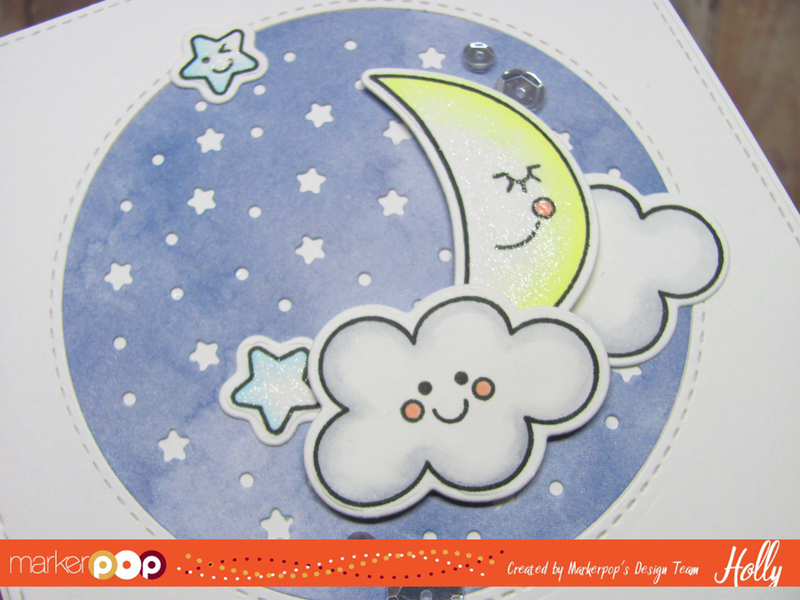 For a touch of Shimmer I added some Clear Wink of Stella to the Stars and the Moon image. I also added some of the Mixed Pretty Pink Posh Sparkling Clear Sequins. Be sure to join us for our Bi-Weekly Challenge.. There's a Mystery Box full of Goodies for one lucky participant each week. We have some great new products coming into the sore with CHA around the corner check out the Coming Soon Section and Sign up for the Newsletter so you don't miss any info. Scotch Foam Mounting Tape .5"